Practical help on drafting children orders using the recently approved standard templates is now available for paid members on the Family Law Hub. 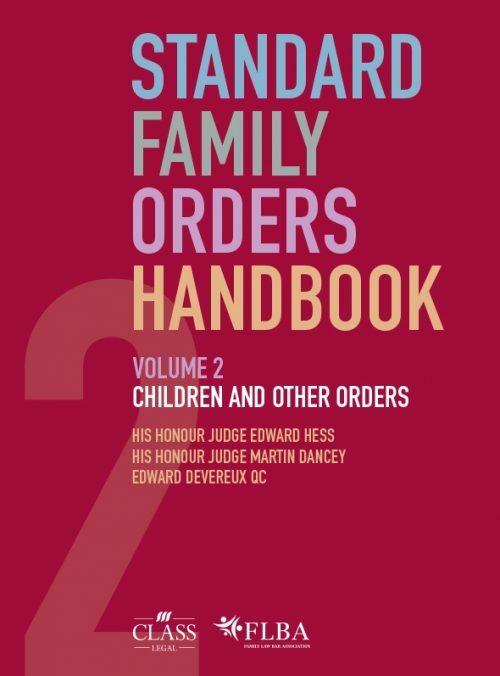 The guidance is adapted from that available in the Volume 2 of the Standard Family Orders Handbook, edited by HHJ Edward Hess, HHJ Martin Dancey and Edward Devereux QC. A sample order with the accompanying guidance notes - Order 13.2 - Abduction - Disclosure Order can be viewed free here. If you want to know more about joining (from £195 a year for a single user) call Lisa at Class Legal on 01652 652222. The book itself is available from Class Legal - read more on the Class Legal website.